After 1970's Looking In album, Peverett, Roger Earl, and Tony Stevens left to form Foghat, leaving Kim Simmonds with yet another dilemma. But for Simmonds, things went a little smoother than he might have imagined, picking up piano player Paul Raymond, bassman Andy Silvester, and drummer Dave Bidwell, all from Chicken Shack. 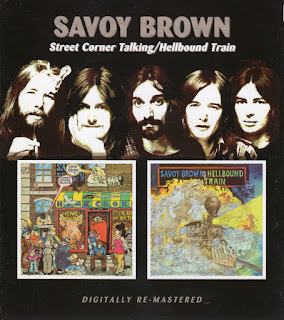 He also hired singer Dave Walker, who was the former frontman with the Idle Race, and together the new lineup recorded Street Corner Talking, one of Savoy Brown's finest moments. Gelling almost instantaneously, Walker's cozy yet fervent voice countered with Simmonds' strong, sturdy guitar playing, and an exuberant mixture of British blues and boogie rock prevailed. All of Street Corner Talking's efforts are solid examples of the group's blues-rock power, from the slick cover of Willie Dixon's "Wang Dang Doodle" to the deep feel of "All I Can Do" to the subtle strength of "Tell Mama," Walker's best-sung tune. The album's blend of sultry guitar blues and upfront rock & roll flavor give it a multi-faceted appeal, with every musician contributing his talents uniformly, which is something that's rather difficult to achieve after there's been a wholesale change to the personnel. Although they stayed together for the Hellbound Train album, Silvester was replaced by Andy Pyle for 1972's Lion's Share release, and a year after that Walker left to join Fleetwood Mac. 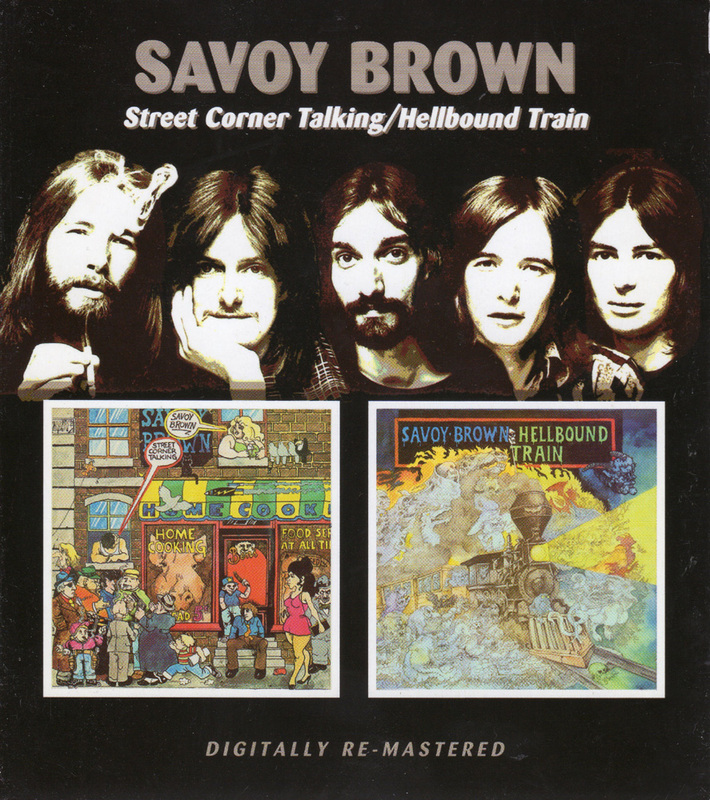 Comprising the same lineup as Street Corner Talking, Savoy Brown released Hellbound Train a year later. For this effort, Kim Simmonds' guitar theatrics are toned down a bit and the rest of the band seems to be a little less vivid and passionate with their music. 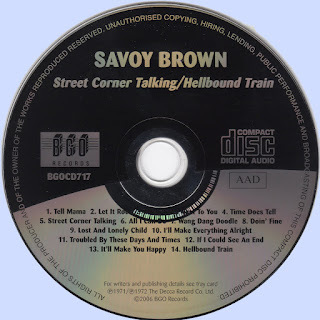 The songs are still draped with Savoy Brown's sleek, bluesy feel, but the deep-rooted blues essence that so easily emerged from their last album doesn't rise as high throughout Hellbound Train's tracks. The title cut is most definitely the strongest, with Dave Walker, Simmonds, and Paul Raymond sounding tighter than on any other song, and from a wider perspective, Andy Silvester's bass playing is easily Hellbound's most complimenting asset. On tracks like "Lost and Lonely Child," "Doin' Fine," and "If I Could See an End," the lifeblood of the band doesn't quite surge into the music as it did before, and the tracks become only average-sounding blues efforts. 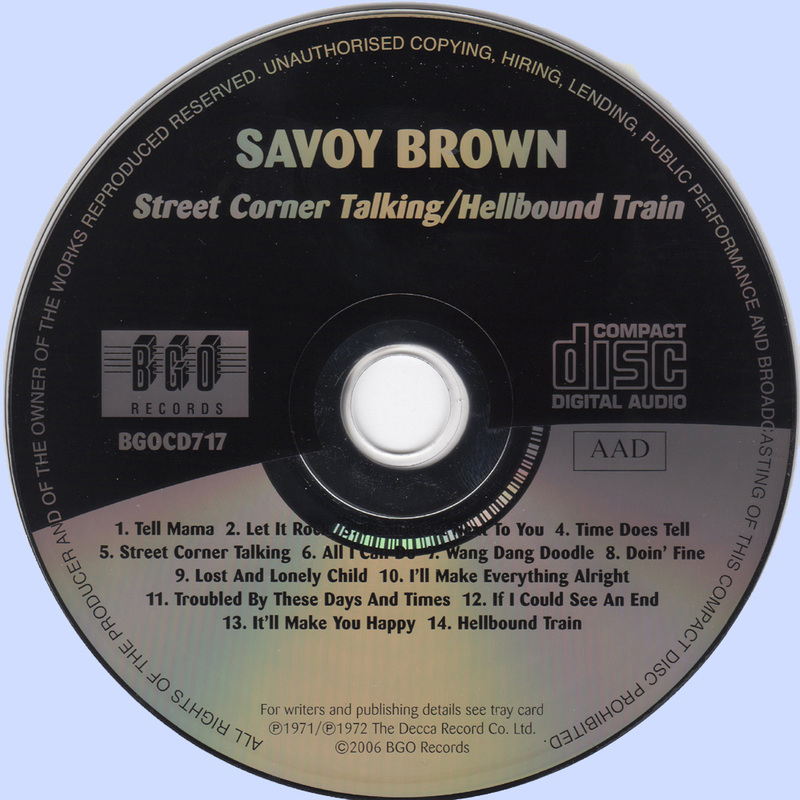 Because of Savoy Brown's depth of talent, this rather nonchalant approach doesn't make Hellbound Train a "bad" album by any means -- it just fails to equal the potency of its predecessor. But there is a noticeable difference in the albums that followed this one, as the band and especially Simmonds himself was beginning to show signs of fatigue, and a significant decline in the group's overall sound was rapidly becoming apparent.